Bought for the then-record sum of $20,000 after a professional script analyst called it “sophisticated hokum,” Everybody Comes to Rick’s was adapted by Warner Bros. studios to great success. Unlike many other classics, Casablanca received rave reviews, and word-of-mouth led to a solid initial run. Widely regarded as one of the greatest movies of all time, Casablanca tells the tale of a motley assortment of people stranded in Morocco thanks to the Nazi invasion of most of Europe. Tensions exist between the Nazis and French Resistance fighters who live in the town, but Rick (Humphrey Bogart), a jaded American, runs a lounge and wants no trouble. Logic Games. Just the mention of it gives many people nightmares. However, as difficult as they can be, they also tend to be the most learn-able. No matter how good you get at Logic Games, though, finding those difficult inferences will always be a challenge! In this blog series, we’ll take a look at some of the higher-level inferences that repeat on the LSAT, ensuring that you have all the tools necessary to tackle anything the LSAT throws at you on test day! Every week we bring you a new movie that contains a logical fallacy you’ll find on the LSAT. Who says Netflix can’t help you study? People didn’t know what to expect when J.J. Abrams was picked to helm the reboot of the Star Trek franchise in 2009. Would it be the gritty reboot of Batman? The campy reboot of Footloose? The angsty reboot of The Incredible Hulk? The Norton-y reboot of The Incredible Hulk? Instead, we got an action-filled, heartfelt, somewhat confusing reboot of a beloved franchise. The movie made nearly $400 million dollars, and a sequel was all but assured. Four years later, we were treated to the second film in the series: Star Trek Into Darkness. As is traditional in the sci-fi world (thanks, Empire), the sequel sees the crew of the Enterprise split up because of demotion (Kirk), reassignment (Spock), and arguments over weapons of mass destruction (Colin PowellScotty). 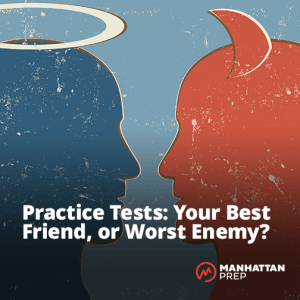 PrepTests: Best Friend, or Worst Enemy? You’ve done this, haven’t you? You’ve sat down at a piano or picked up a guitar and tried to play it. After a couple of notes, you think, “Hey, I sound great!” Then you try to play your favorite song and realize that you sound terrible. Most of us lose interest pretty quickly at this point. Some people decide to take lessons. But imagine a beginner who just keeps trying to play Led Zeppelin’s Stairway to Heaven, or a concerto by Bach, over and over, day after day, hoping that some day she will get it right. She might eventually nail it, but any music teacher will tell you that this isn’t the best way to learn an instrument. Without realizing it, this could be exactly how you’re trying to prepare for the LSAT. 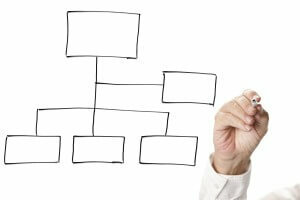 It’s common for people to make full PrepTests the main focus of their prep plan. If this describes you, and aren’t seeing much improvement, don’t be surprised. Preparing for the LSAT is similar to learning a musical instrument. Playing a concerto or a killer guitar riff requires an array of fundamental skills that allow you to combine individual notes and chords into a beautiful and complex piece of music. To do well on the LSAT, you will also use an array of fundamental skills, like identifying the conclusion of an argument or finding the important inferences in a logic game, to get a beautiful score. You will first need to learn these individual skills, then perfect them through practice, before you can combine them effectively to answer the different types of questions you’ll see on the test. Logical fallacies are present in our everyday lives. Sometimes, they’re tricking us into switching to Geico. Other times, they’re being used to argue against climate change or for doubling down on red. And they’re definitely used by the writers of the LSAT to create questions. But they’re not only used for evil! They also appear in our favorite forms of entertainment. Writers of mysteries and suspense use logical fallacies all the time to misdirect the reader/viewer from the ending. Romantic comedies use them to ramp up the tension. Action and sci-fi movies often overuse them, leaving huge holes in their plots. In our #MovieFailMondays blog series, we’ll take a look at movies that feature a logical fallacy and how we can use this knowledge to score better on the LSAT. You can also use it to smugly say, “Saw it coming!” at the end of the next M. Night Shyamalan movie. If anyone besides you goes to see it. Bryan Singer released The Usual Suspects in 1995. One of the movies that ushered in the modern era of the #SPOILERALERT, the movie had people discussing the twist ending incessantly. The movie, a story of five criminals (Kevin Spacey, Gabriel Byrne, Benicio del Toro, that other Baldwin – no, not that one, the other one – and that guy who was in that thing…uhm…Jackson Pollock?) who carry out a heist after meeting in a lineup, is framed by Kevin Spacey’s Verbal Kint telling the story to Agent Dave Kujan.